Looking at that spreadsheet for the first time this AM, and it certainly looks like a lot of work to complete for one team much less all the teams. Looks to me like spreadsheets the government might put together...in a word, convoluted. I wonder how many folks work on that on a regular basis. Actually, just one I think. The system was invented by Bill Connolly, currently of SB Nation. He's the one that tweaks the system each year to try and make it more predictive and he's also the one that releases the spreadsheet, rankings, and other tidbits each week. I'm sure he's automated a lot of his data inputs, with only having to do a small amount of hand entry. Even with that, there's a reason these usually don't get released until Tuesday or Wednesday the following week. After our win, we moved up from 95th to 88th. The model felt USF was a very weak 7-1 team so even though we dominated, we didn't move up a ton. Our post game win expectancy was 99% which is excellent. That's actually slightly higher than against Memphis, probably because of the turnover margin. On a game by game basis, our defense has been in the 50th percentile or better 6/9 games (not WF, OSU, or Cinci). Against USF we were in the 87th percentile, the unit's best performance of the year. Our offense managed to be average (51st percentile). That's only the third time we've hit that mark all season. If we get even average offense going forward, we are probably a bowl team. We went from 15% probability of making a bowl to 65% in one week. We are now projected to beat ECU and Navy 75% and 76% of the time. Our win probability against Houston also rose slightly to 22% from 16% last week. Bottom line - win the games we should and we go to a bowl. We've been here before, prior to the SMU loss, but the win last week gives us another shot to take care of business. IF, and I said IF, this team can stay focused and not mail it in against the likes of Tulsa-like teams ECU and Navy, and we get another Memphis/USF-like performance against Houston, we should win all three remaining games. We beat UH last season and two out of the last five; anytime a defense can keep us in games, we've got a legit chance. King scares me a little because we have had a little difficulty with a good RB and a mobile QB. But we shouldn't be scared of UH and just focus on what we have to do against them to succeed. But first things first; ECU is a MUST win. I agree Roto. It would certainly help if Houston overlooks us the way they seemed to do against SMU last week. They likely have more talent at key positions - King is a beast - but they aren't unbeatable. But all is moot if we don't line up and beat ECU. BTW, as nice as it was to beat USF the way we did, they are projected to lose out and finish 7-5. It's a nice win, but USF isn't the same team as the past couple of years. At year's end, Memphis may very well look like the better win. We had a 79% post game win expectancy in last week's game. That's better than the 50% against Tulsa, but certainly worse than our other wins. Would have been nice to be more dominant but a win's a win. Defense carried us again, performing in the 78th percentile. It was their second best performance of the year, after USF. Offense was bad and netted out in the 27th percentile. That's the 4th worst performance this season behind Wake (8%), SMU (9%), and Ohio St. (15%). We now have an 81% chance of making a bowl. We have a win probability of 27% this week against Houston and 75% the following week against Navy. Our odds of finishing with seven wins are slightly higher than finishing with five wins. It's a good spot to be in, and it will be even better if we can steal one from Houston this week. Oh we are also now ranked 84th, up four spots from last week. I hope Willie shows them the tape of the 80-14 shellacking we took when the program was down; if that wouldn't rev you up, nothing would. Yeah maybe not stealing given the circumstances, but I was looking at it from the model's perspective. Winning a game like this would look like a reasonably large upset. We only had a 21% chance to beat USF going into that game, though, and look how that turned out. I think Houston has better talent than us, at least at the quarterback position. D'Eriq King is really good and will be difficult for our defense to contain. McMillan will need to play beyond his 3-game starter experience to keep pace. Will be interesting to see how motivated Houston is in this one. We should be really hungry and they've already clinched a bowl. I totally agree that WF can and should out-coach Applewhite in this one. I don’t have a very high opinion of Applewhite either but he did go out and get a damn good OC in the offseason. Going to be tougher to outcoach them now with Briles on the staff. That's a really good point. I might take Fritz over Applewhite, but Ruse vs Briles (purely for on field things) is no competition. Will be interesting to see how motivated Houston is in this one. We should be really hungry and they've already clinched a bowl. I doubt that has anything to do with the motivation - both teams are playing for a West Division title and a berth in the conference championship game. To me, that's the #1 motivation in this game and it's shared equally (both teams need to win out and hope SMU loses). There's a little part of me that's hoping we were holding back on our offensive plan (at least the running game) against ECU, figuring we could win anyway, and we're gonna unleash the full package on Houston. But that part of me is really, really small and also considers black helicopters and tinfoil hats. Serious question, is it Derrick King or Dee Eric King? I've heard both. I've always heard Dee Eric so that's what I'm going with. Last advanced stat update of the regular season for us. Last week was the second worst defensive performance of the year behind OSU. After four above average games, the defense was in the 16th percentile last week. Yikes. Offense was somehow not as bad as previous games, but still below average at 48th percentile. Our offense is actually pretty explosive (7th in the country), but horribly inefficient (123rd nationally). The performance dropped us five spots to 89th overall. Looking ahead, we still have a 75% chance to beat Navy and reach six wins. S&P+ favors us by 11.5 against them. To pull off a win like that, we need the defense to return to form and the offense to step it up and give us an average showing. Do that and we'll win. Make it so. The spreadsheet hasn't been updated yet, but the 130-team S&P+ rankings including last week's results are up. We dropped a spot, to 90th, because we were predicted to beat Navy by 11+ and we barely squeaked it out. We aren't the worst bowl team out there according to the model. That's currently 8-5 Hawaii at #100. Liberty is likely to be finish as the worst bowl eligible team. They are currently at 119, but will finish 6-6 if they beat Norfolk St. this week. It's doubtful they actually get a bowl since they are an independent. We are also ahead of #98 UL Monroe (6-6), #97 Western Michigan (7-5) and #95 Louisiana Tech (7-5). I'm absolutely tickled we pulled off six wins, but this should be a reminder that we still have a long way to go to get where we want to be. Thanks for sharing these all year. 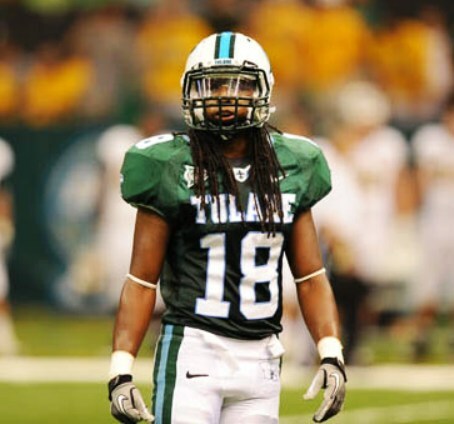 As homers, I'm sure we'd all proclaim Tulane is a proud "75," Advanced Stats be dam#ed. Meanwhile I'll channel my inner Bill Parcells and simply say "Our record says who we are." Glad we made a bowl for the first time in a while especially for the extra practice time. Tulane was better than past five years but still is an average team in 2018. We all look for continued improvement next season. Full stats are up. Not much more than we already knew but still interesting to parse. Our defense has played great all year with many younger guys playing beyond their years. We are losing our top three tacklers to graduation, though. Zachery Harris, Rod Teamer, and Donnie Lewis will be tough to replace. And we couldn't get Darkwa/Grant to line up. Darkwa finished over 850 yards 3 years. Grant was over 1000 his last 2 years. Badie rushed for 688 yards his freshman year and never got to 400 in a year after that (I always thought we wasted his talent). A final note here as we close out the football year. We finished the season ranked 86th in S&P+, one spot ahead of....ULL. The article below shows that along with some other notes including how awful the AAC's bowl season was and how the MAC ended up being the weakest conference this year. Worth a look if you have the time. I'll plan on doing another of these threads next year. I enjoy reading these. FTW also summarized some of the AAC related stuff on Twitter. One thing he notes is that Tulane climbed 20 spots from #106 preseason to #86 this season. Would be nice to climb another 20-30 (or more) spots next season. Wasn't it posted some where this year that our schedule was ranked as high as thirteenth in difficulty?